Breakfast Lovers Unite: The Best Pancakes! These pancakes are�for all the people who love the best meal of the day. My people.� I love you. I have stopped on a late night drive home with two kids just to eat Cracker Barrel Blueberry Pancakes.� I am that crazy person who thinks pancakes are the right reason to be�that�person at the restaurant with kids after 10 pm.� Shhh, it’s okay. My kids will only be a little terrible for being up and about so late. And, these pancakes. These are the pancakes of ballads. No, I don’t know any pancake ballads but it seems as good of a reason as any to profess love in lyric form.� Particularly, since my love of pancakes has surely surpassed the rise and fall of many a romantic love. These doughy discs of delight are perfection plated. Just enough of a crisp to the fried edges to remind you how much butter was used and still thick enough to absorb syrup without reaching saturation. Mmmm, pancakes. P.S. 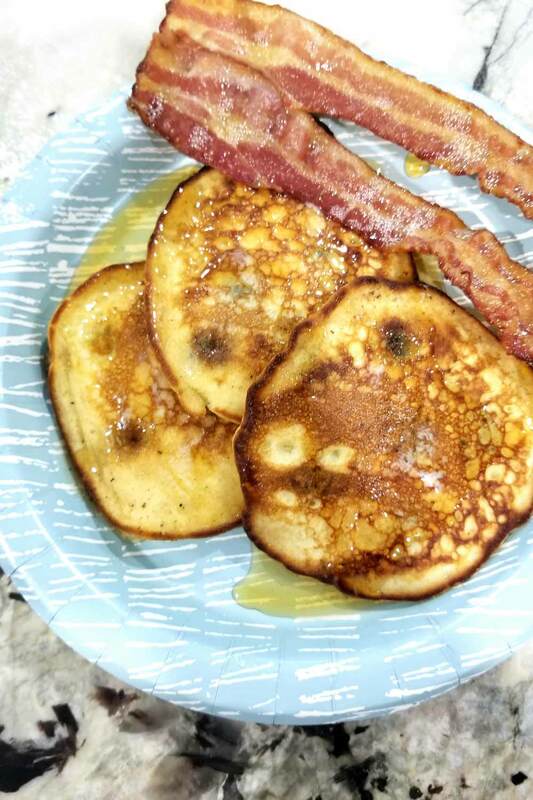 You should definitely put blueberries in them.� For sure.� I put them as optional but that’s just for the non-pancake purists out there that don’t recognize the right way to elevate their pancake experience. Preheat a pan over medium heat or griddle to�350 degrees Fahrenheit. Add butter to the pan and swirl to coat – there should be enough butter to coat the bottom of the pan,�don’t be shy. Drop 1/4 – 1/2 cup fulls of batter onto the pan or griddle. Quickly level and smooth it into a circle. If you are adding blueberries or chocolate chips do so now. 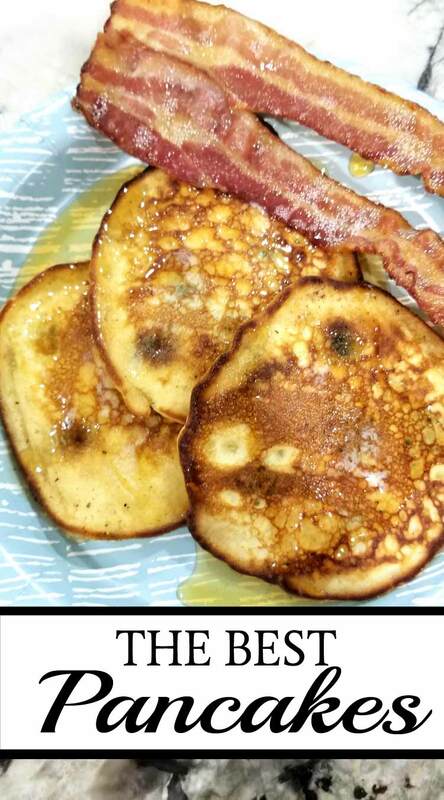 The pancakes should be flipped when the 2nd bubble pops. This will take about two minutes. Flip the pancake and cook on the second side for another minute or two. Add butter to the pan before adding more batter. Repeat cooking until all the pancakes are fried. Pancakes should be served piping hot off the griddle. Top with more butter (if your heart can take it) and warm syrup. Next Post: Fall Festivals and Pumpkin Patches – it’s Fall, Y’all!